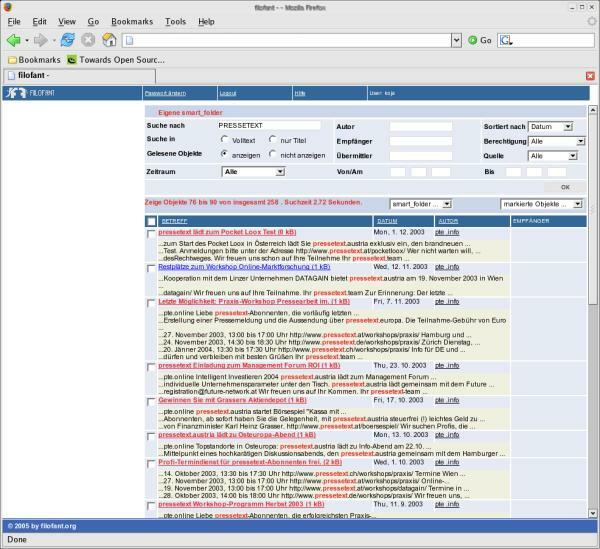 This a screenshot of the filofant webinterface in german. The interface is translated in english and turkish at the moment. For a further view at the webinterface, please try also the online test system.